Alf might finally break out of Area 51 in a new ALF reboot. ALF’s back, and this time not in pog form—if Warner Bros. has its way, the Alien Life Form could be making his way back to our televisions with a new reboot. Variety reports that Warner Bros. Television is in early stages of hashing out a reboot of the beloved ‘80s NBC show about the titular alien from Melmac, who crash-landed on Earth and decided to move in with a local family of humans for, you know, hijinks and stuff. This isn’t actually the first time a reboot has been considered, but according to Variety, current plans are early enough that there are currently no writers attached to the project, and there’s still debate over whether or not the new ALF would be a complete reboot of its premise, or even a continuation of the original show. 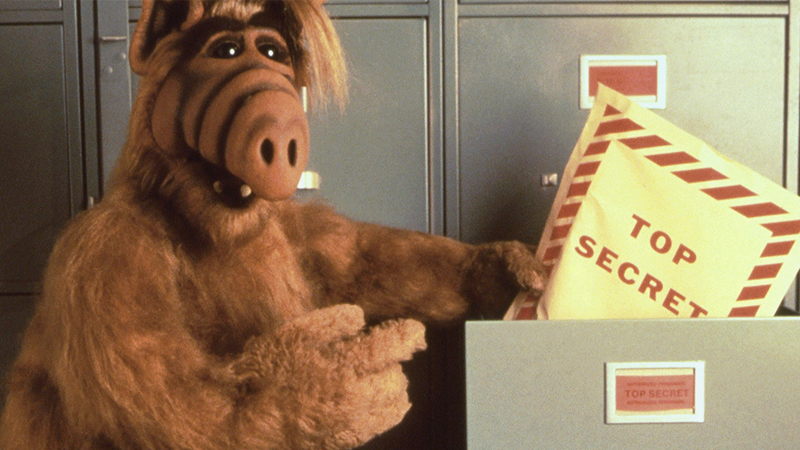 The sitcom darkly concluded with ALF finally being detained in Area 51 by the U.S. government, but the new show could potentially see him escape the facility into the modern world, offering commentary on just how much the world has changed in ALF’s time away. And continuing in his effort to eat cats, of course. We’ll bring you more news on the ALF reboot as we learn it.